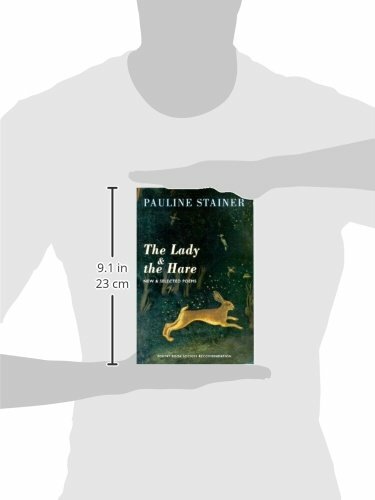 Pauline Stainer is an English poet, born in Burslem, Stoke-on-Trent. After attending St Anne's College, Oxford, she moved to Essex, where she raised four children. After several years on the Orkney island of Rousay, she moved to Suffolk, where she lives now. Since the publication of her first volume of poems, The Honeycomb (1989) she has published 7 further full collections, including The Wound-Dresser's Dream (1996), for which she was nominated for the Whitbread Poetry Award, The Lady and the Hare: New and Selected Poems (2003), and her latest volume, Tiger Facing the Mist (2013). 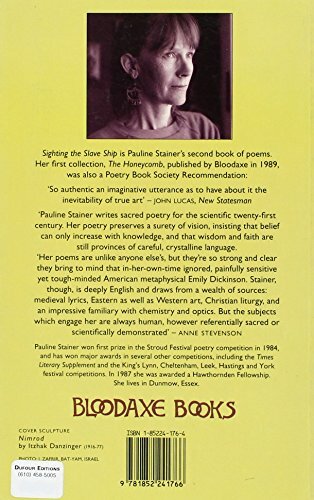 She has been the recipient of numerous awards and fellowships, including the King's Lynn Award for Merit in Poetry, a Cholmondeley Award and a Hawthornden fellowship, and was selected for the Poetry Book Society's New Generation Poets promotion in 1994. She is also an artist. In recent work she has exhibited a refreshing poise and restraint in her language to create scenes of startling power and strangeness, as in “After the Ark”, in which the disembarked pairs of animals, “long after landing”, would “watch / for the waterspouts / and that mysterious fall / of fish from the air”. The miraculousness of the natural world is registered throughout her oeuvre, as in “The Ice-Pilot”, which asserts that “One waterfall is extraordinarily like another”. Yet in Stainer's work nature is never idealised, glibly communicant or itself invulnerable, and an acute ecological consciousness is present throughout, as in the strange and oblique poem “Thaw”, which describes how “The bodies of Victorian climbers / are recovered / as the glaciers retreat”. 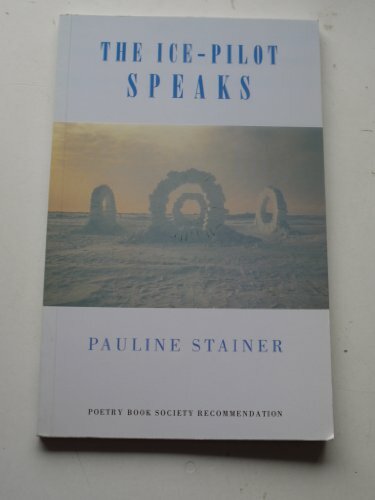 In the space of a few short lines, Stainer alerts the reader to environmental disaster, evokes the ecological time which dwarfs human history, and also recalls the Norse creation myth alluded to elsewhere in her work: “as on the evening / of the first day / a man's hair / comes out of the ice”. 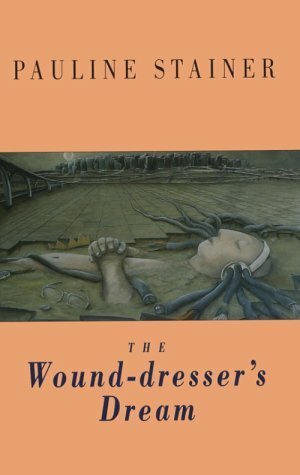 It exemplifies this poet's ability to charge every line of her work with compacted meaning and various resonances, effects only heightened by her reading style, the care and precision of which allows her readers to appreciate to an even greater degree the intensity and control she exerts over every word and phrase. 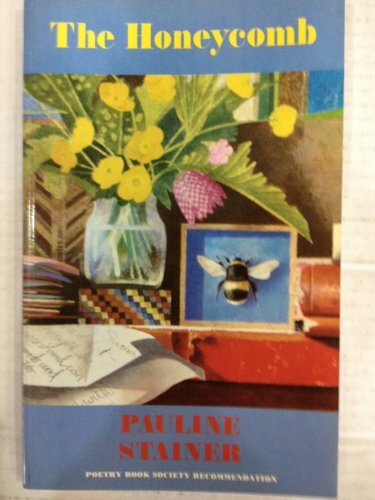 The Honeycomb, Bloodaxe Books, 1989. The Ice-Pilot Speaks, Bloodaxe Books, 1997. 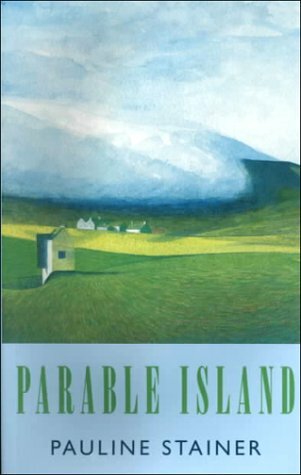 Parable Island, Bloodaxe Books, 1999. 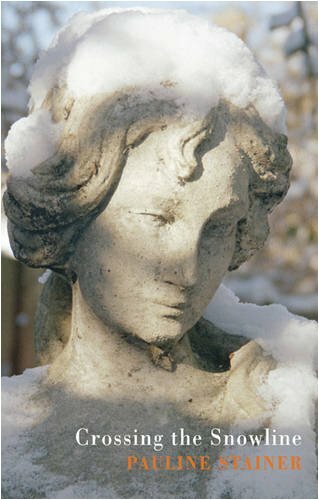 Crossing the Snowline, Bloodaxe Books, 2008. Sighting the Slave Ship, Bloodaxe Books, 1997. 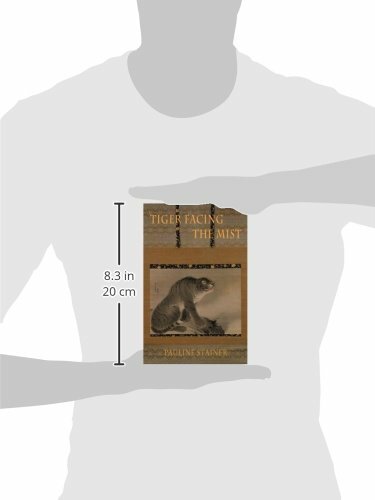 Tiger Facing the Mist, Bloodaxe Books, 2013.